Berry Patch Bed and Breakfast, near Hershey, PA, in the cozy little town of Lebanon, Pennsylvania. 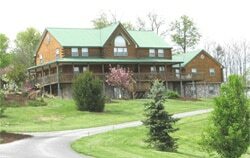 A spacious, newly built log home with old country charm where Pennsylvania Dutch hospitality awaits you. 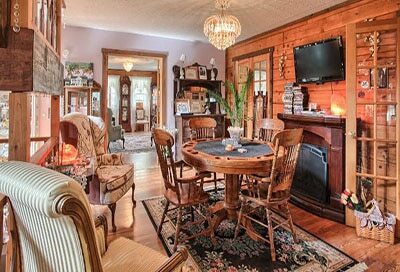 has 6 beautifully decorated rooms with antiques and Victorian charm. 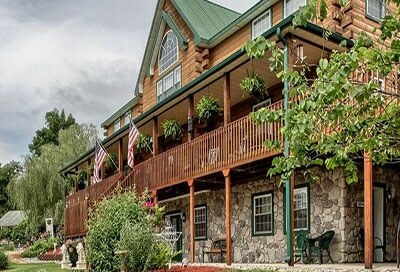 Unwind in one of the in room two person jacuzzi tubs, wireless internet, cable TV, relax on the veranda, or read a book by the trickling water in the pond. We have fireplaces in every room. 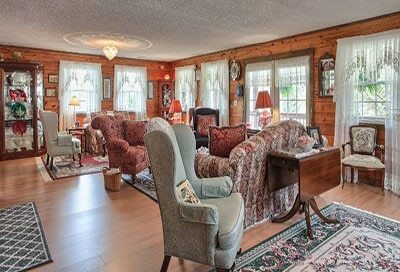 A delightful country hearty breakfast is served each morning in our sun room or dining room. We do destination weddings, church retreats, business retreats and other large or small events. Call us to schedule a quilting weekend, or scrap booking weekend.